Playing The Long Ball continues to look at some of the 2014 FIFA World Cup Brazil exotic markets and this week it casts its expert eye over the odds about a first-minute goal. Both 888sport and Unibet are offering identical odds on the 2014 FIFA World Cup Brazil exotic market that is a fun one that has the potential to give one an interest in every one of the 64 matches. The bookmakers are offering odds of 1.67 that there is not a first-minute goal in the 2014 FIFA World Cup Brazil and 2.10 that there is such an eventuality. It is common knowledge that Hakan Sukur scored the fastest goal in FIFA World Cup history when he put Turkey ahead in the 11th second of its third-place play-off game against South Korea in 2002. But what is not common knowledge is the incidence of first-minute goals in past FIFA World Cups. Thomas Muller scored the fastest goal of the 2010 FIFA World Cup South Africa, netting for Germany 158 seconds into its 4-0 quarter-final victory over Argentina. So there was not a first-minute goal in that tournament. Nor was there was a first-minute goal in the 2006 FIFA World Cup Germany. One has to go back to the 2002 FIFA World Cup Korea Japan for the last first-minute goal and it was Sukur’s famous strike. 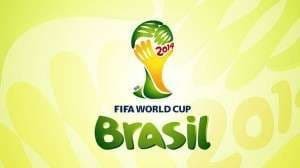 So there has been one first-minute goal in the last three FIFA World Cups totalling a whopping 192 matches. Having trawled through the FIFA World Cup record books one has found that there have been nine first-minute goals in the 19 competitions, with the 1938 FIFA World Cup France and the 1962 FIFA World Cup Chile each featuring two. So 12 of the 19 FIFA World Cups have not featured a first-minute goal, which equates to 63.16 per cent and odds of 1.58. But if one takes the historical data, works out the odds of a first-minute goal not occurring in an unnamed FIFA World Cup game and extrapolates that result to calculate the odds of such a goal not occurring in 64 unnamed FIFA World Cup matches, the mathematics crunch out odds of 2.12. However, one believes that neither odds calculation provides a true insight into the 2014 FIFA World Cup Brazil, mainly because football has changed a lot in recent times. It is worth noting that there have been only three first-minute goals in the eight FIFA World Cups since the event expanded, to 52 games in 1982 and to 64 matches in 1998. First-minute goals in FIFA World Cups are being less common, a sign that defences are getting better and better as time goes by. One thinks that the mathematics worth doing are the total number of FIFA World Cup games since 1982 not featuring a first-minute goal divided by the total number of matches during that period and then, from there, working out the odds of there not being a first-minute goal in the 64 games of the 2014 FIFA World Cup Brazil. The numbers crunch out odds of 1.51 about no first-minute goal throughout the 20th edition of the tournament that captivates the planet. Therefore, one is inclined to think that 888sport and Unibet are being generous in offering odds of 1.67 about there not being a first-minute goal in the 2014 FIFA World Cup Brazil as one believes that modern defences are better than those that played football in the early years of the tournament. Next week Playing The Long Ball will take a look at another 2014 FIFA World Cup Brazil exotic market as the countdown to the 32-team International competition gathers momentum.